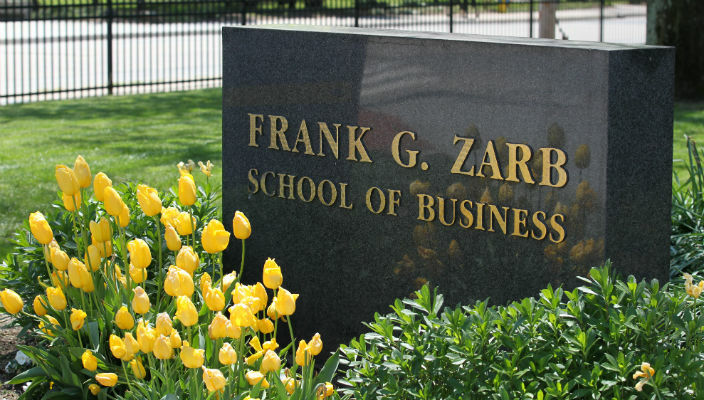 The Frank G. Zarb School of Business’ online MBA program has been ranked among the Top 10 in the nation by Poets & Quants, a leading news site covering business schools and business education. The Zarb online MBA program came in at #9 on the 2019 list, which includes the top 35 schools. Zarb was the only New York metro area program to be ranked. The rankings were based on three components: admissions standards, career outcomes and alumni assessment of academic and extracurricular experience. Schools also completed detailed surveys. The Zarb program won high marks for strong experiential learning opportunities, which include a global practicum, as well its career services and mentoring. The online MBA also is ranked #17 by U.S. News & World Report 2018 Best Online MBA Programs and #36 by the Princeton Review 2018 Best Online Programs. The Zarb online MBA is the highest ranking such program in the New York metro area. “Poets & Quants is widely respected for its coverage and ranking of business programs, so to be recognized on its Top 10 online MBA program rankings is an important validation of the work we’ve done to ensure that our online students benefit from the academic quality, personal attention and rich experiential learning that Zarb has always been known for,” said Zarb School Dean Herman Berliner. There are more than 300 online MBA programs in the U.S. At the Zarb School, online MBA students have the opportunity to participate in a global practicum, which consists of a week-long international trip to immerse themselves in the business culture of other countries. Previous global practicums have traveled to China, Japan, South Africa and Israel. In addition, beginning this year, all online MBA students participate in a leadership evaluation and executive coaching program using the internationally recognized Hogan Leadership assessment tool.